← Tesla Model 3 AWD – Unobtainium? Tesla Model 3 AWD – Obtained!! I have my pickup date/time. 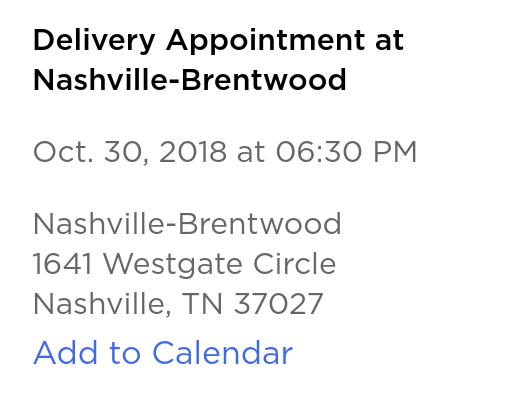 Within hours of posting a blog post (and cross posting on Twitter) detailing the unending wait for a Tesla Model 3 AWD I received “The Call” from Tesla Las Vegas setting up delivery for October 30th. A coincidence? Maybe. This comes exactly 4 calendar months after placing the order. The buying process is a little different to a traditional auto dealer. First you setup a specific appointment date and time. Second you need to arrange insurance using the VIN # provided and have that proof of insurance before your appointment date. Third, only cashier checks are accepted, personal checks are not acceptable to Tesla. I paid for my LEAF with a personal check along with many other second hand cars. Tesla are a little fussy. Insurance was arranged with my carrier Nationwide easily enough. The VIN number Tesla provided was not accepted by Nationwide’s computers. After confirming the number was correct the insurance agent asked me “is this a Tesla Model 3”? I had not indicated what car make or model I was adding at that point, apparently it’s a common issue that Tesla VIN’s are not fully registered. I have asked my delivery advisor where the car is. I see the VIN is in the mid 95,000’s and Tesla have registered a VIN today in the 135,000’s. It maybe already be manufactured and on its way. 1 Response to Tesla Model 3 AWD – Obtained! !